If you have a home in France and you're looking for potential birding sites, the best investment you could make is to buy IGN mapping of your local area, the blue series Carte de randonnee, scale 1:25000 (1cm = 250m), generally covering 200-250 square kilometres per sheet. Secondly, visit your Mairie and ask for information on public footpaths (sentiers) in the locality. There is an extensive network of well-signposted public rights of way throughout the country, most are well maintained if somewhat under-used. Departments/regions produce maps, one per sentier, usually a long loop or connected loops, and they are free. Tourist offices also stock them. Route signs, normally painted brown, carry the name of the sentier. I have found most local sites this way, also doing surveys for the LPO opened up new areas I may not have discovered otherwise. Most private land is fenced off securely, partly a legacy of the hunting regime, and it’s best to obtain permission to access land off the sentier, e.g. promising areas of open water. Generally farmers are far more open to these requests than in UK, although some may refuse permission if they are active hunters or have frequent hunting on their land and don't want people getting shot! Basically the birding situation is the reverse of the UK one - there is lots of good habitat here but very few nature reserves. A Birdwatching circuit in the Southern Vienne - A drive/walk in the communes of Saulge/Moulismes. WHERE TO WATCH BIRDS IN THE VIENNE - Where's hot and where's not - LPO Vienne website based on Google Earth. This website is part of the VisioNature network developed by the LPO and other organisations to record and publish observations in real-time. Once you have created your account, the same access info can be used to access all similar VisioNature websites throughout France and Spain. This is an excellent tool for sending your info to those who need it, and for disseminating information generally to other birders. There are one or two pitfalls, see SUBMISSION OF RECORDS below, but overall it works very well. WHERE TO WATCH BIRDS IN THE BRENNE - SIRFF is the France Nature Environnment version of the above covering the Brenne. It is nothing like as user-friendly as VisioNature, and really requires an element of local/regional geographical knowledge. The main problem, though, is that although as an observer you record obs to an exact position on the map, this info is stripped out by admin and appears on the website at commune level only...!! Rendering the info useless to all except those with access. This is, allegedly, 'to avoid disturbance at sites...' No comment! However, see SUBMISSION OF RECORDS below. 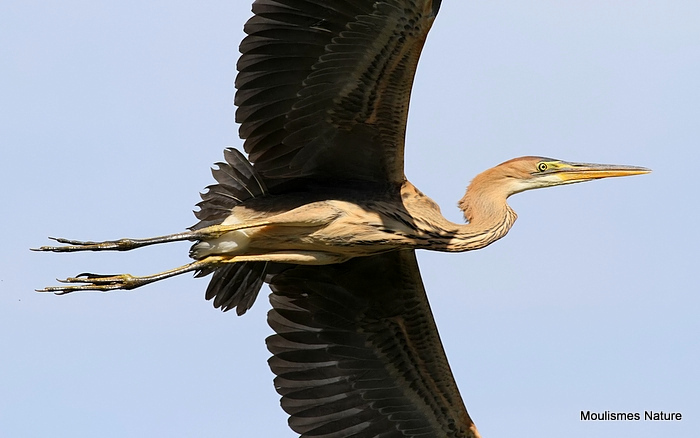 A more recent development has been the launch of the live Indre Nature database, Obs'Indre, making life much easier for those searching for Brenne bird/nature news. For most purposes, SIRFF has really been superseeded by this new recording system, although it is not as good as VisioNature for several reasons. However, it is fairly easy to use, after the initial account creation. There are one or two bizarre anomalies, for example the selection of species deemed to be rare (in red) on the obs lists, and some of those that aren't. Also the selection of sensitive species deemed to be at risk of disturbance; any obs that accompany these observations are also filtered out to remove the location. For example, ALL obs of Osprey, with accompanying obs from the same location made at the same time, are masked for location. Conversely, obs of Peregrine Falcon in breeding season (or any other time) aren't masked.... and so on. If you find that certain obs have the location masked it will be because somewhere there, there is a 'sensitive' species (espèce sensible). Some of the anomalies can admitedly be explained by the fact that the area covered is the departement Indre, not only the Brenne PN. The search facility has some useful features. One annoying thing for Brits – the site is accent sensitive, so any entry with an accent missing won't be recognised. Obscentre - Yahoo! group covering the région Centre, including the Brenne. Mainly used for info on rarities, but not exclusively. Of the Brenne related websites mentioned below, go to Maison de la Nature > téléchargement > '2015 Brenne nature' to download a document covering most of the key sites in the Brenne. This is a publication available at the two visitor centres mentioned below. NB; BEWARE! The visitor centre opening dates/times as stated on the website aren't always strictly adhered to !! Broadly speaking, the hunting season runs from mid-August until the end of March. Hunters also use the sentiers and public woodland, so nowhere should be regarded as ’safe’ from hunting. People die every year in shooting accidents; whilst these are often other hunters, walkers and birders are obviously vulnerable. Weekends, particularly Sundays, and public holidays are the most active hunting days. Whilst finding 'La chasse en cours' frustrating when arriving at one’s chosen destination, it is worth remembering that without the hunting regime probably much good habitat here would be lost. So always having a ‘Plan B’ (and even 'C'...) is good practice. Hunting often takes place on public woodland sites, forêts domaniales, and those owned by local authorities. Walking dogs off the lead is definitely not recommended close to hunting activity, the hunting dog pack is a great danger to other dogs. Most of these dogs have never seen the inside of a house and are kept hungry. Where hunting occurs next to a public road or land open to the public there is an obligation to post warning signs and marshals. However, this obligation is frequently ignored in my experience. 'Cowboy' hunting like this does nothing to dispel the notion that the hunting fraternity are, in reality, a law unto themselves. Whatever ones views on hunting, pragmatism pays, and an understanding of how the hunting regime and habitat management often go hand in hand in France. Inland, by far the most sought after species are wild boar, roe deer and red deer. Of the smaller quarry species rabbit, hare, pheasant and both partridge species are the most commonly hunted, also wildfowl. Of the migratory/semi-migratory species, woodcock, wood pigeon and quail probably top the list. This list is long (see protected status, main list on this page) although the geographical position of the Vienne/Brenne means in reality the list is fairly short. My personal experience is that farmers, who often form the core of the hunting community, are usually quite friendly, telling you when and where there is hunting going on so that one can avoid that area. They will also sometimes advise on access across their land. There is of course another aspect to hunting; that of culling. Taking the wild boar - the sanglier, as an example, the estimated French population in 2013 was in excess of two million, with a population explosion in recent years as a result of human activity - global warming and radical changes in agricultural land use. The wolf is historically the principle natural predator - a species virtually non-existent in France despite a mini revival in the French alps and Massif Central. Needless to say this will never be a viable future solution here. So it follows that assuming numbers need to be controlled, hunting is probably the only solution. Sangliers certainly love maize, as well as root vegetables and vines, amongst much else on this adaptable omnivore's varied menu. In an attempt to stop the boars roaming into fields and vineyards, hunters have been encouraged to create feeding zones in woods and forests - often maize. This has actually exacerbated the problem by artificially concentrating large populations, thereby creating perfect breeding grounds and leading to even larger packs of well-nourished animals. These zones have also apparently been responsible for accelerating the time it takes to reach adulthood (i.e. they can now breed at a younger age). Interestingly, the hunters have recently been forced to reimburse farmers for crop damage, a bill that has much increased in recent years to a massive 50 million Euros (in 2011). Despite this, they don’t seem to be able to keep the population increase in check. And as a sign of innate intelligence, according to hunters sangliers have recently developed a new tactic when devouring maize. When they enter the fields, they leave the outer parts of the crop intact, effectively hiding their presence deeper in the field, completely out of sight ! Roe and Red Deer cause damage to trees, woodland flora and other wildlife habitats. Damage to farm crops, traffic accidents and poor health for the deer themselves if left to overpopulate (i.e. if their numbers are greater than the habitat can support) indicate a need to control numbers. In the UK humane culling is used. Apparently to prevent a deer population from increasing, around 20–25% of the adults would need to be shot each year. Whether or not this is feasible in a country the size of France with the size of deer populations involved I've no idea. However, the question is largely irrelevant, as hunting is the way in France. So if one can look beyond the 4x4's, hip flasks, firearms, dangerous dogs and macho, 'we can go anywhere' mentality, there almost certainly is a need for controlling the numbers of wild boar and deer - and hunting provides probably the most practical solution. Although some of the above also applies to hunting on the coast, there's a decidedly different approach there that most of us find totally unacceptable – not only the quarry species, but also the methods used. Live decoy ducks tethered by thin steel hawsers are a common sight, as are wooden decoys. The hunting can be on an enormous scale, totally exposing the myth that hunting is on the wane in France. As a result, many waders seen have missing or damaged legs or feet. In my experience of living here, hunting is so ingrained in French culture it will always enjoy the support of the vast majority of French people, even though most don't hunt. Rights of the 'common man' to hunt almost anywhere, enshrined in the August Decrees of the French Revolution, mean that hunting is more aligned to the US 'right to bear arms' than anything else. Covering some 10,000 hectares and with over 1200 etangs, man-made lakes, the Brenne has reedbeds, meadows, rough pasture, cereal production and woodland, also two river valleys and some calcareous zones. Over 280 species have been recorded; Common Cranes winter here, Whiskered Terns (c1000 pairs) and Black-necked Grebes (150+ pairs) nest, as do Purple Heron, Cattle Egret, Night Heron, Black-winged Stilt, a few pairs of Short-toed Eagle, and 30+ pairs of Bee-eater. Scarcities/rarities I've personally recorded since January 2006 in the southern Vienne/Brenne are in the list below. The winter of 2011-12 brought an influx of Alpine Accentors (Prunella collaris) - Accenteur alpin, some sharing sites with Wallcreepers. One site in the southern Vienne (at Chauvigny) was used. In the northern Vienne small breeding populations of Little Bustard and Ortolan Bunting exist. The habitat north of Poitiers is very different to that of the south, with vast cereal plains, and a reserve at St-Cyr that attracts large numbers of gulls in winter. These can include Common, Lesser Black-backed, Herring and Yellow-legged - all rare elsewhere in the Vienne. Other rarities are increasingly being found on this site much frequented by the Poitiers birding community. It is worth remembering when birding here that most of the Vienne is over two hours from the Biscay coast, the Brenne over three hours. Virtually all gull, tern and wader species are rare, with one or two obvious exceptions. Another surprise for many visiting birders is the relative abundance of species here that are scarce or specialized in their habitat preferences in the UK. Classic examples are Woodlark (on the northern edge of range in UK) and Tree Pipit (gone from much of SE England); both are fairly common farmland species here, the latter obviously in summer only. Owls, conversely, are rarely seen; Scops and Short-eared are rare, Barn, Little, Tawny and Long-eared are statistically fairly common, but only usually seen at night. With such an abundance of food these species appear to have remained truly nocturnal. Finally, one of the delights of winter are the large flocks of passerines on winter stubble or fields left fallow. These include Yellowhammers, Cirl, Reed and Corn Buntings in good numbers, with Skylarks in the hundreds and Bramblings with the multi-species finch flocks. LIST OF BIRDS OBSERVED IN THE SOUTHERN VIENNE & BRENNE SINCE OUR ARRIVAL IN JANUARY 2006. The status/abundance guide may help if you are birding the general area. This is based solely on my observations since January 2006 and may or may not reflect the true status/abundance within the Vienne/Brenne. Obviously generally it does, but the odd striking anomaly can occur, for various reasons. For example, Barn Owls are virtually impossible to observe here in daylight hours, but statistically they are a fairly common breeding species. The same can be said for Little Owl, although populations have now become fragmented. Eurasian Bullfinch is another bizarre one, again a fairly common breeding species but almost impossible to find, certainly outside of the winter period. Northern Goshawk is as difficult here as anywhere, and although officially quite common, I have found Wood Warbler numbers to have slumped to a point of becoming a rarity. Differences in overall habitat between the southern Vienne and the Brenne mean there are differences in status/abundance for some species, most strikingly with water birds – obviously there are many more in the Brenne! Conversely, Hen and Montagu's Harriers, Stone Curlews and others benefit from the cereal fields widely seen in the Vienne. (Brenne) = Observed in the Brenne only, (Vienne) = observed in the southern Vienne only (my personal observations only, regardless of status within those areas). ------ 1 adult-winter November 2011. ------ 1 adult (unringed) July/August 2015. ------ Feral, > 200 (Brenne only). French Cat. C (Introductions). ------ French Cat. B, D1 (Origin uncertain). ------ French Cat. B, C*. ------ Individual males in 2007, 2009 and 2014. ------ Group of 3 27/11/13. ------ In 2012 an influx of these wonderful raptors into northern France included 2 near Moulismes (a probable pair) and a single bird briefly in the Brenne. Subsequent events suggest genuine range expansion rather than isolated sporadic events. Sadly the Moulismes pair were flushed twice by 'photographers' and disappeared in early spring. Bred in Deux-Sèvres (79) in 2012. In 2015 a smaller influx occurred, with a single bird seen briefly in the Brenne. November 2016 produced a remarkable three birds on one site in the Brenne, near Lignac, with two adults again near Lignac in November 2018. ------ A single bird 6/2009. ------ Has bred in the Brenne. ------ 3 adults August 2009. Has bred in the Brenne. ------ 3 individuals Vienne, 1 Brenne. ------ A single bird November 2009 after severe Atlantic storms. ------ 1 adult-summer June 2007. ------ Perhaps no longer a Brenne breeding bird? ------ 1 adult-summer May 2008. ------ Scarce breeder Brenne, breeds in northern Vienne only. ------ Rare breeder Vienne, has bred in the Brenne. ------ Numbers much depleted in recent years. ------ numbers/pairs increasing, particularly in the southern Vienne. Crested Lark (Galerida cristata) - Cochevis huppé ------ Occasional sightings Chateauroux (36).